The summer months of waiting for the slate to be wiped clean and for Minnesota Wild fans hopes to be renewed have almost come to a close. September will be made much easier to bear by the start of the 2016 World Cup of Hockey. The teams have been announced and players have been added. Teams Canada, Sweden, Finland, USA, Russia, Czech Republic, North America, and Europe will compete against each other and we will have a chance to see the best of the NHL’s talent compete on the world stage. Amidst the chaos of the brief competition, there are three storylines Wild fans should follow. As long as the top six stays healthy until the start of the 2016-17 season, the Koivu and Granlund pairing on the team’s second line seems like a lock. If they end up playing on the same line on Team Finland (as they have successfully done before in previous years), it will be a telling preview of what may be coming in the 2016-17 season when the pair are back in Wild colors. Mike Yeo’s refusal to play the two Finnish players on the same line was puzzling to many fans, who expect to see this change with Boudreau at the helm. Finland has also added Erik Haula to their team, who will likely play a depth role. have been left to wonder how their high-scoring star will rebound this season. Parise opted for taking the rehabilitation route rather than having surgery during the off-season. With fans hoping the decision pays off, it will be interesting to see if his style of play has been affected. 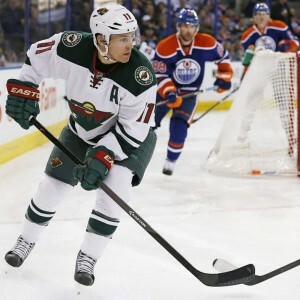 It is likely that we will see a solid preview of Parise’s hopeful return to form during the World Cup, as he will play for Team USA alongside Wild teammate Ryan Suter. Parise has appeared to feel confident in his health and recovery,“I feel really good,” Parise said, “All the rehab went and is going well. I’m happy with the progress. The doctors were really happy today. … I’m really happy with it. I’m good to go.” It is unlikely that Parise, who has the reputation of being a hard-working player who never gives up on a live puck, will come into any competition playing scared. There is a contingent of Wild fans who believe Granlund has not lived up to the hype. With his current contract coming to a close, this is the season in which Granlund has to prove he is essential to the Wild. Though he was rewarded with more ice time last season, most of his stats didn’t improve. Boudreau, though, will likely see his possession numbers (CF% of 51.8%, 50.5%) in the past few years relative to the team’s numbers (47.7% in the 2015-2016 season) as a valuable strength that is compatible with his vision for the team. Mike Yeo seemed to prefer Granlund as a playmaker at center, which didn’t draw attention to the scoring ability that dropped jaws during his prospect days. The recent acquisition of centerman Eric Staal means that Boudreau has more flexibility when it comes to moving Granlund to the wing. This means that if he has significant success playing left wing at the World Cup, Boudreau may be more likely to try and replicate that formula to see if they can find more value in the young player.